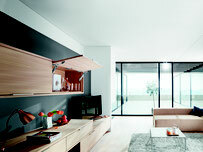 We provide a full range service of conception and interior design. We select the finest quality materials, lighting, furniture and other equipment to best suit your wishes and your budget. We work with selected Thai partners chosen for the quality of their work in every field: furniture, decoration, and renovation. 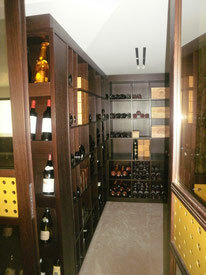 We also import upscale furniture and layouts directly from France. We will assist you by providing a turnkey service, from 3D design to cost estimates, space fitting, furniture customisation, decoration, and coordination of the project. Our lead designer graduated from Ecole Boulle Paris, one of if not the most prestigious school of art, furniture making and interior design on the globe. We have designed pristine interiors for over 15 years and hold ourselves to the highest standards in the industry. Our references include private housing, luxury projects, villas and luxury apartments in Saint-Tropez, Monaco, Switzerland and Bangkok. We also have our own workshop for making furniture and joinery located in the south of France, on the French Riviera. 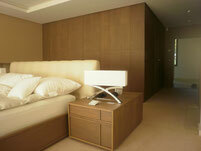 And are able to create bespoke custom-made furniture.
" Design in style to follow your dream"